This is like learning at a "home style" environment; very comfortable and no pressure. Every question is answered and demonstrated. Difficult tasks are made easy. 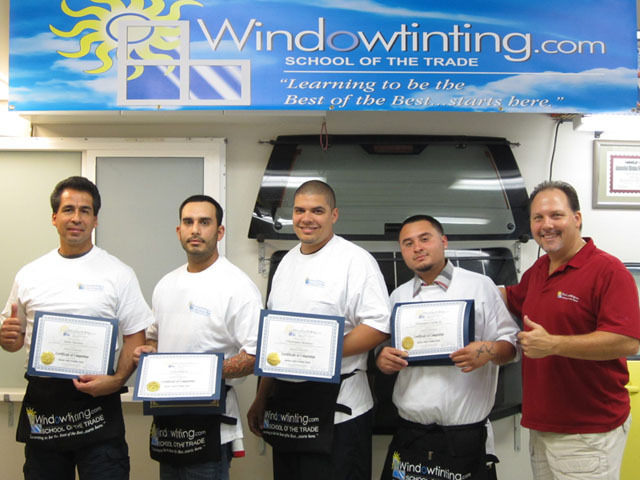 I would recommend this course to anyone who desires learning the "art" of window tinting! Robert (aka Coach) is the best teacher for learning how to be a window tinter. He took his time and explained every chapter perfectly and taught me the best way to install the tint. He is the BEST of the BEST and a real pro in this industry. Robert did a great job of making sure everyone in the class grasped each and every concept before moving ahead to the next lesson. He took the time to personally walk me thru the steps and helped me figure out the mistakes I was making; which ultimately would have prevented me from having a near-flawless installation. The teacher and training was excellent and explained very well. It was a real one-on-one training experience for me. I learned really fast and already started to perfect my skills during training.